Foundation Podiatry Townsville is participating in the 'Share the Dignity' again this April. This is an Australia-wide initiative to support women troubled by homelessness, poverty, unemployment and domestic violence. We were shocked to learn the high rates of homelessness and domestic violence amongst women in Townsville. For these vulnerable and at risk women, each monthly period can be a shameful and traumatic experience, suffering indignities such as having to clean themselves in public toilets and use paper towels or newspaper to create makeshift sanitary pads. The knowledge that many Australian women couldn’t take hygiene for granted during menstruation saddens us. We believe that sanitary items should be a right NOT a privilege! 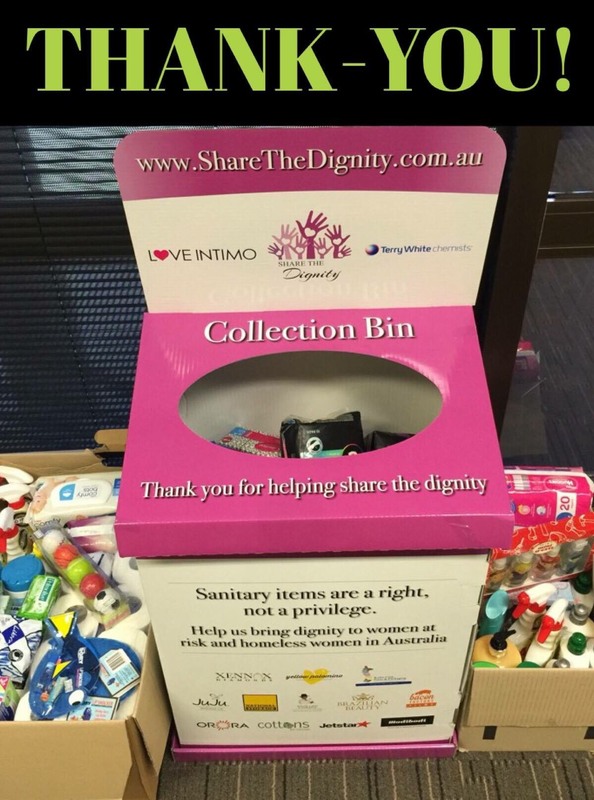 During April Foundation Podiatry is a ‘Share the Dignity’ collection point for sanitary items, which will be delivered to Townsville Women’s Shelters. Want to learn more, check out 'Share the Dignity' here. We hope you can join in on our 'Share the Dignity' mission to ensure every woman has dignity when dealing with her monthly period. Here is our efforts from last years April Drive! FOOT PAIN hindering your New Year's Fitness Resolution? Are Heel Pain and Menopause related? Why do my shins hurt when I run? Daina Clark joins the Foundation Podiatry Townsville team!